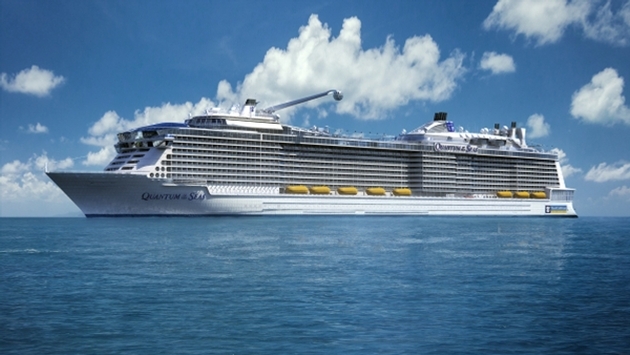 PHOTO: The Quantum of the Seas will join two other Royal Caribbean ships in Asia next year, the Mariner and Voyager of the Seas. The company is increasing its Asia capacity by 66 percent for 2015. The cruise market is just beginning to open up in Asia, but that hasn't prevented some encouraging projections for 2015 and beyond. According to a report from the Cruise Lines International Association (CLIA) released earlier this week, the region's 52 vessels and 1,000-plus voyages have the potential to carry 2.17 million passengers next year. That figure represents a significant increase from the 1.81 million capacity in 2014. "The cruise industry continues to grow rapidly in Asia and many cruise lines are deploying more capacity in the region, including some of the most modern cruise ships. CLIA decided to undertake an analysis of hard data on the size of Asia cruise source markets – the first of its kind – because cruise lines and many cruise industry stakeholders are keen to better understand the trends, source market size and the potential for growth in this vibrant and exciting region." Looking beyond 2015 is tough considering how much growth the region has seen over the past few years, but that hasn't stopped CLIA from forecasting the future. Noting the difficulty of crafting projections given the lack of historical data pertaining to the Asian market, CLIA North Asia chairman and vice president of Royal Caribbean Cruises China and North Asia, Zinan Liu theorized three different scenarios to calculate long-term figures, according to Seatrade Insider. Each scenario takes the North American and European markets into consideration. The first assumes that both markets continue to experience an increasing penetration ratio. The second projects Asian growth numbers based on the other two regions remaning stagnant, while the the third and final scenario assumes that the North American and European markets experience a declining penetration rate. The projections, aimed at the year 2020, yielded figures of 3.8 million, 5.3 million and 6.6 million passengers in Asia, repectively. But as Seatrade Insider points out, some in the region have forecasts as high as 8 million passengers by the end of the decade. While only time will tell whether and to what extent the Asian cruise market will flourish over the remainder of the decade, CLIA's findings, coupled with the fact that international cruise ship deployments to Asia grew by 31 percent in 2014, per Seatrade Insider, are undoubtedly encouraging for the two dozen-plus brands active in the region as well as travelers looking for more options across the continent. Read the full CLIA report here. One interesting sidenote from the CLIA report: cruise lines will likely have to be patient and play the volume game with the Asian cruiser. 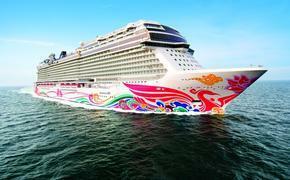 The study showed that cruise stays of 2-3 nights make up 47 percent of the cruises offered in Asia right now. Cruises of 7 to 13 nights make up just 12 percent of the market.